The new MacBook Pro delivers top-rate technology in every way except one: it leaves you with slim pickings when it comes to connectivity. 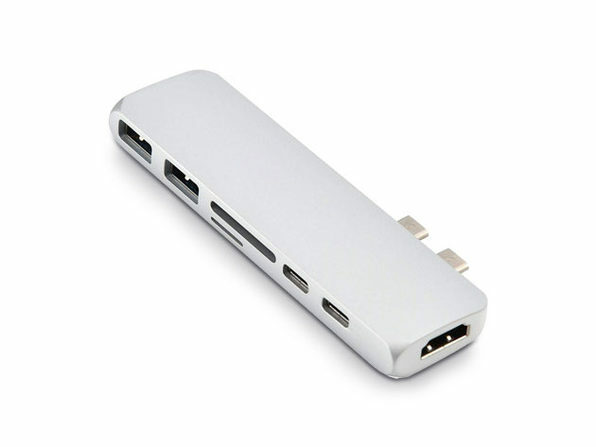 Want to charge your phone using your USB-to-Lightning cable or plug in your camera's SD card? You're out of luck. 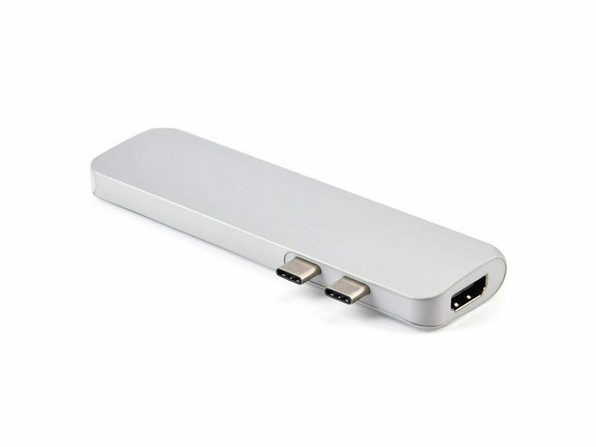 This USB-C Hub is designed to fill that gap so you can enjoy your new computer and your favorite devices without issue! Simply plug the hub into your USB-C hub to utilize seven ports simultaneously, including: USB 3.0, HDMI, microSD, and more. 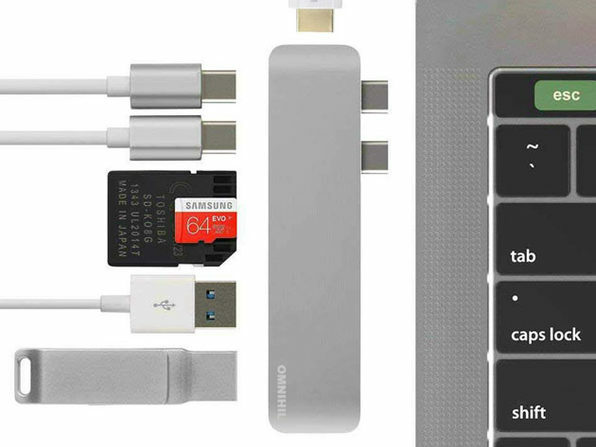 It's the best of both worlds and even fits the aesthetic of your MacBook.